Mackintosh’s early designs for Guthrie & Wells were very simple and unadorned; highlighted by the beautifully balanced design of the brass drop handles, which clearly show a Chinese influence. 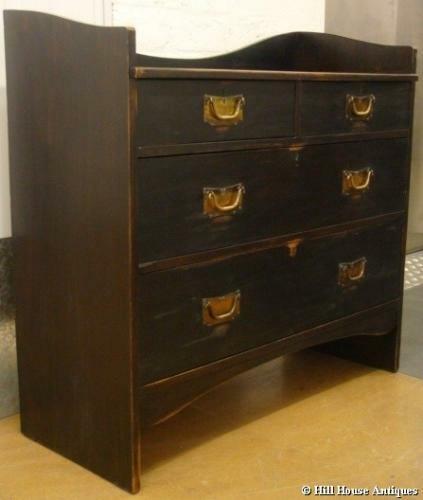 The chest is very much in the style of the furniture that his client, William Davidson bought from Guthrie & Wells for his house Gladsmuir, Kilmacolm. A scarce piece of furniture. Ref: Mackintosh Furniture by Roger Billcliffe for similar pieces; pages 13-22.